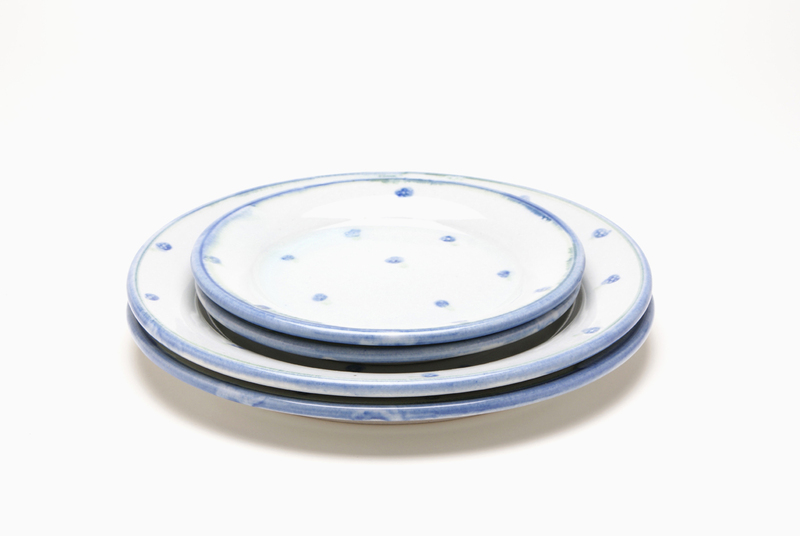 Easy to stack, simple but attractive. 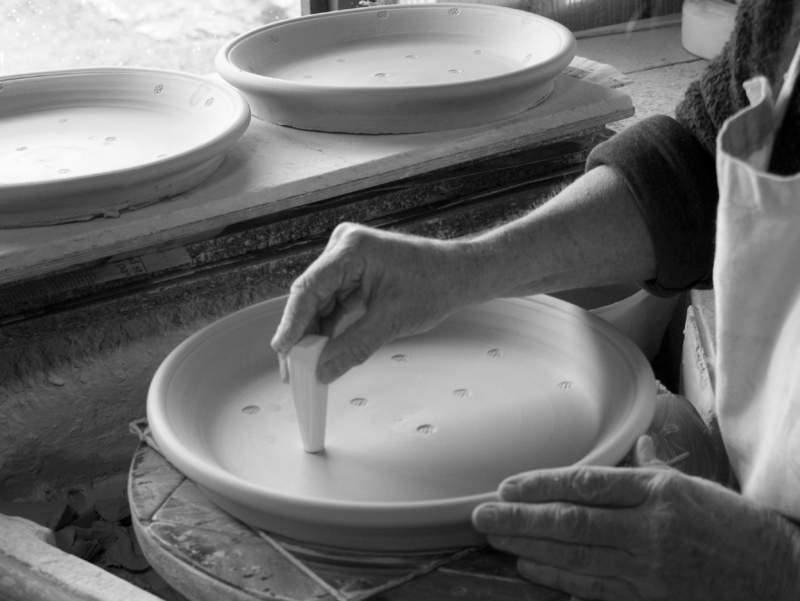 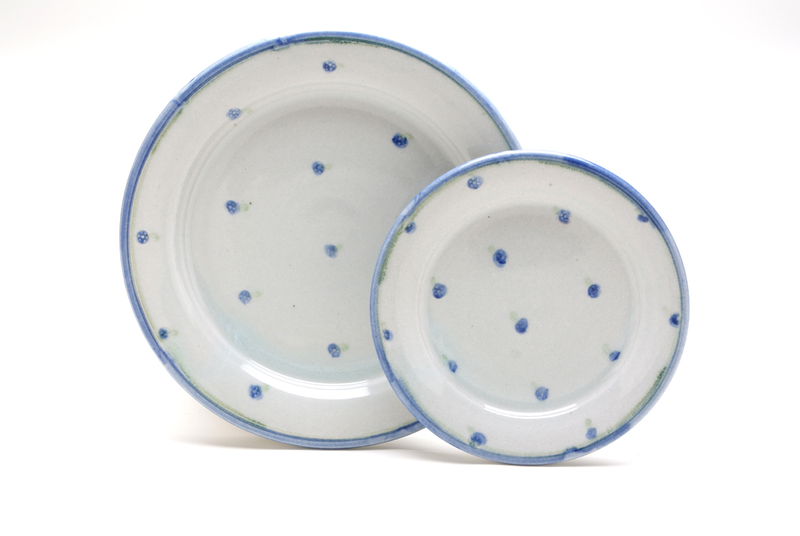 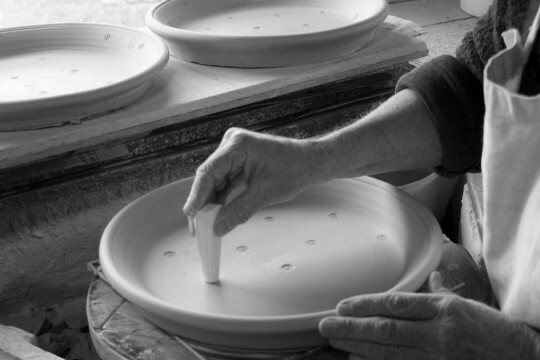 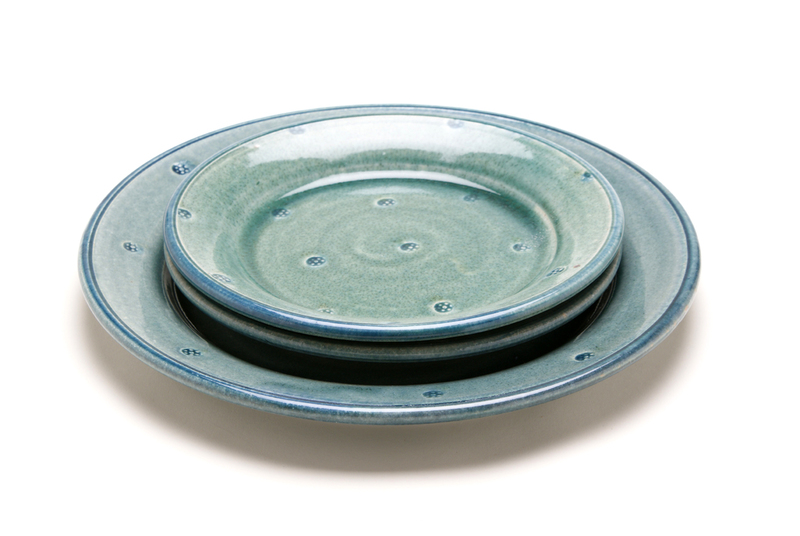 These plates are handmade and have a flat base and generous rim. 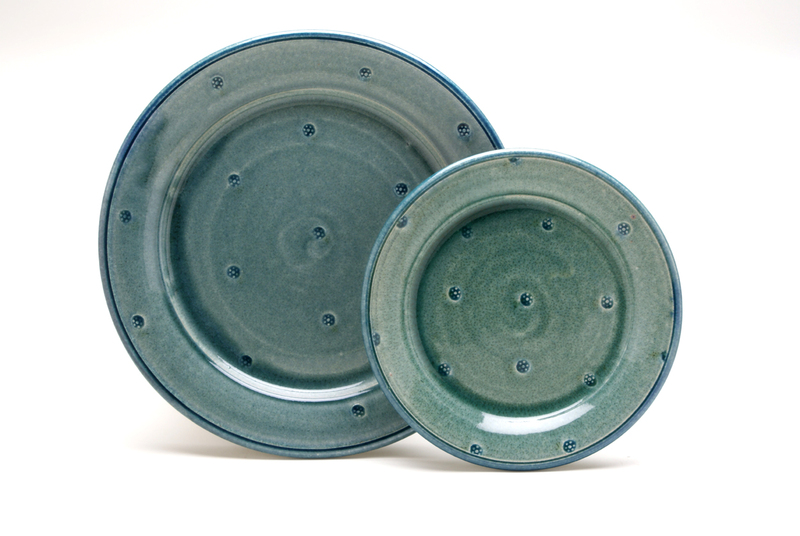 They are stamped all over with the same little mark as we use on the soup and dessert bowl and the mugs. They fit into the dishwasher and are also microwave safe.